Let’s start off with Saturn! Saturn went retrograde on April 29th, which is the perfect time to go over one’s career to be sure you are on the right track, & one’s life direction also remember with Saturn less is more, which makes this an opportune time to consolidate resources! Go over your past & rid out what you do not need! With Saturn retro, while it’s not the most opportune time to start anything, but to continue working hard as Saturn will reward hard work once he goes direct! Saturn will be retrograde for the next 4 ½ months! 4th ~ Taurus New Moon! 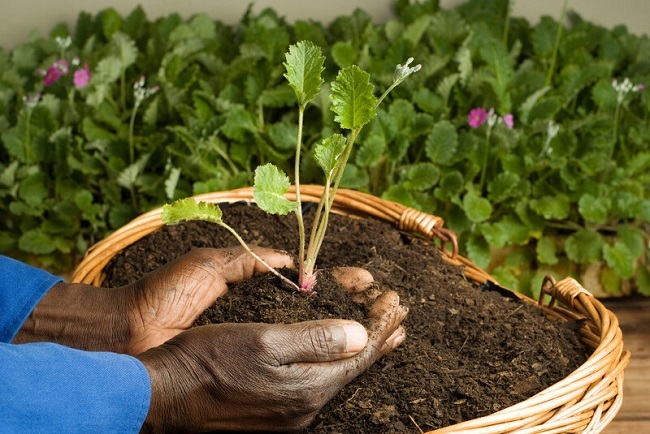 Taurus is an earth sign, a new moon is a perfect time to start something new, but with Saturn retro it’d be an opportune time to start things related to earth things like sound financial decisions, make healthy choices when eating, working in areas you love! In the USA this will affect churches & the like, disputes, also look for infectious diseases to increase along with secret crimes, extravagance, martial excitement. Along the lines of main street, the downside is risk-taking, overreach, you will want to keep your eyes on the prize while maintaining some restraint. Watch extravagance! While you may feel lonely & perhaps rejected, be mindful to watch your pocketbook! In the USA look for stocks, housing, crops, all the like to decline. Be careful of jumping to the wrong conclusion! Once a decision is made it will be almost impossible to change it! Check your facts! while earlier in the day when Venus trines Jupiter is a big hit for romance, later that same day Venus square Pluto, which will be a drag again on anything related to money in the USA 2nd house! Look for stocks to decline. 11th ~ Happy Mother’s Day  Sun will trine retro Saturn on this day!! Making it a Sunday to reflect within & with your mom’s! Look for the stock market to go up (up & down with the USA’s money related to the 2nd house will be the theme until late 2019/2020) on a personal level look for intense & powerful powers! look inside yourself & discover what motivates you! What changes are you seeking in your life? What is it in your life that is screaming for reform? You’ll dig deep into your soul to discover the magic within & seek to change with ease of making your life smoother, run more efficiently. Just make sure you do not use this energy for ruthless, or selfish ends! 15th ~ Venus enters Taurus! Venus rules Taurus so for the next four weeks look for harmonious relationships regarding love & money, be warned, if you do not get greedy you will be just fine! Also, on the 15th, Mars will go into the sign of Cancer! Watch out! This will make you feel defensive, & sensitive! 16th ~ Mercury trine Saturn! In the USA look for good news regarding trade, & new regulations introduced, it will be great for railroad shares, municipal tramways, I see their usefulness & value increasing & workers connected with them will benefit. On a personal level look for serious thinking & your most personal concerns to take your attention! You will not be in the mood for games, or trivial play, nope, not today! Not because of any depression, far from it, it’s just that these two signs make one more inclined to focus & solve problems, you will stick with it as your mental focus will demand it! Which is a good thing! Did you lose anything? Are you in the mood to dig deep for answers? On this day you are in the mood to go underneath the ground for answers! For some of you, this energy will turn inward which by the way can be very profitable! Pluto wants you to dig inside yourself on a very deep level, look to be most intrigued on your inner dimensions of the psyche, like psychology or even astrology! Maybe you will meet up with someone who has a pronounced effect on your mind. This is a good time to look at what you believe in, because your view could be transformed, meaning maybe you really do not believe in astrology, with the Pluto, Mercury, trine & the full moon in Scorpio on the same day, your thinking can be transformed, Mercury takes a step back & instead of thinking in ridged intellectual terms, Pluto adds the magic to take a deeper look into the unknown, the “What’s” hidden beneath & brings it forth, one thing for sure, you will dig until you find the truth! Look for any communication to be taken seriously, & quite profound! Especially since this is on the same day as the full moon in the sign of Scorpio! Look for hidden things in the USA to come out also!! 18th ~Full Moon in Scorpio! This full moon will be in the USA 12th house! Look for secrets to come out! Also, Scorpio is a water sign, looks for a lot of rain! Flooding, flooding, flooding! This will happen one to one in half weeks before the full moon! Actually, I’m seeing our weather this summer in the USA to be cool & wet. We have a “Total Solar Eclipse” coming up on July 2nd, 2019, in the sign of Cancer in the first decanate (10 degrees Cancer 37 mins) of Cancer. Cancer is a water sign, with this, it will disturb the air, causing great changes, look for alterations regarding our weather, tornados like some of us have not witnessed in our lifetimes. Look for our winters to be so much colder, I mean a bone-chilling cold, & harsh, harsh, winters, especially in the year 2020 when Saturn goes into the sign of Aquarius!! 21st ~ Sun & Mercury will go into the sign of communitive Gemini! If you’ve been sleepy lately look to wake up & in a big way to a communication highway!! Lookout! Your life will be in the fast lane, all things communication, this will be a good time to buy digital devices, also look for people.& perspectives to enter in on this fast lane! Mercury in Gemini is at home! Look to move from topic to topic & again, rather quickly! I’m looking at a T ~ Square with Mercury, Neptune, & Jupiter! In the USA look for religious orthodoxies to be disturbed, with new mystical ideas coming in. Mysterious crimes & such will come into play, also look for double-dealing between nations or political parties. On a personal level, be careful of false optimism that could have you taking foolish risk! If you are dealing with anything financial be oh so careful that you are not being taken for a ride! Make sure you understand what is being said & get it in writing, exactly as you are understanding it. EXACTLY AS YOU ARE UNDERSTANDING IT! Be very careful also of false messiahs or teachers who may excite you with magic but fail to teach you how to cope with what is materializing in your life. This will be a time for some of you who have huge plans from your past to be implemented, you need to not be so grandiose & impactable, in your quest to move forward. If you keep focus this is a great time to sign contracts, but you have to keep focus, watch what you sign, make sure it’s as you understand it to be, have a lawyer or someone else look over what you intend to sign, two set of eyes are better than one, if your able to I’d recommend holding off until this transit is over. Remember Neptune is in the picture, we will be in a fog, under the influences of Neptune, who likes to dissolve boundaries, & is known for self-undoing, the 12th house is one of our mystical houses, so with Neptune around we will not know what has happened until the influence is over is the general rule!! Look for this to be expanded as Jupiter is in the picture, things hidden just may pop!! 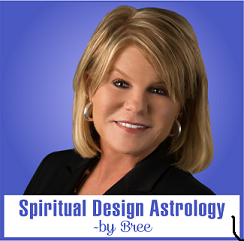 If you would like your own personal horoscope/astrology, reading please click on: Bree’s Services/Rates. April 2018 Highlights! Predictions for the USA! It’s Time! Get Ready Now!! Pluto Oppositions~Are You Ready for Change? Previous story April 2019 Horoscope Predictions for the USA! Get ready for Saturn & Pluto conjunct in the USA 2nd house of financing! Sun 03° Taurus 32' 11"
Moon 00° Capricorn 34' 59"